Experience the rainforest of Kitulgala with ease on this private full-day tour from Colombo. Meet your driver and depart from your Colombo hotel in an air-conditioned vehicle. Trek to natural rock pools and suit up in safety gear to slide down the waterfalls. 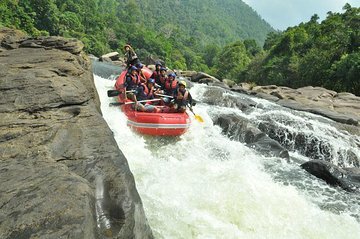 After a safety briefing with instructors, go white water rafting on the Kelani River. After all that activity, enjoy a local Sri Lankan lunch.